The last continent, Antarctica, continues to be an enigma for travellers, since much of the continent remains pristine and unexplored and is covered by ice. One of the coldest and most desolate regions on the planet, Antarctica gives you a sense of awe, serenity and grandeur that stays with you for a very long time. Visitors tend to be overwhelmed by the sheer magnificence of icebergs and glaciers in Antarctica. Cruise trips are the only way to explore the last continent. Because of extremely low temperature and unpredictable climate for most of the year, cruises to Antarctica are limited to the austral summer season between November and March. During this period the ice melts enough for cruise ships to travel through the region. Antarctica cruises gives you the opportunity to come face to face with some of the most exotic wildlife on the planet. The continent is home to a wide variety of penguins, seals, sea birds and whales. Emperor penguins and elephant seals are common, often present in hundreds, at a single location. With some luck, visitors may encounter humpback whales or orcas swimming alongside the cruise ship. Seeing some of the world’s rarest creatures in their natural habitats is a truly surreal and an unforgettable experience. Cruises to Antarctica generally start from Ushuaia, Buenos Aires or Puerto Madryn in Argentina, or from King George Island in Antarctica. 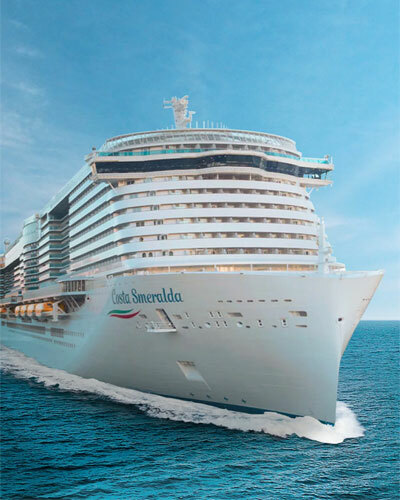 These cruise packages cover a number of scenic ports of call such as Port Lockroy, Whaler’s Bay, Half Moon Island, Yankee Harbor, Cuverville Island, Neko Harbor, Almirante Brown, Petermann Island and Antarctic Sound. Most cruise ships visiting Antarctica are small enough to come close to the shore. Travellers use small boats called Zodiacs which help people reach the shore from the ship. 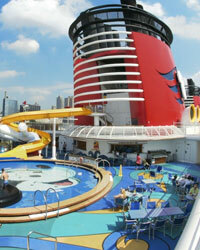 Cruise itineraries can vary from 10 days to over a month. Shorter trips generally cover the Antarctic Peninsula. These trips can include popular destinations like Deception Island, Neko Harbor, Paradise Bay and Port Lockroy. Longer trips of around 16 – 18 days cover Falkland Islands and South Georgia, in addition to the Antarctic Peninsula. Longer cruise packages include crossing the Antarctic Circle, as well as covering further destinations such as the Ross Sea. Key attractions include the Ross Ice Shelf, Beagle Channel, Cape Horn and Drake Passage. Oceanwide Expeditions: A wide range of cruise itineraries, from 10 to 21 days, aboard the M/V Ortelius or the M/V Planicus. The ships sail from Ushuaia or Puerto Madryn, Argentina, and cover the Antarctic Peninsula. Packages start at US $7,050 per person. Poseidon Expeditions: Icebreaker cruises across the Falklands and the Antarctic Peninsula. Most of the cruise itineraries start at Ushuaia, Argentina. Packages can range from 11 to 22 days, with prices starting at US$6,495 per person. Quark Expeditions: Exciting cruise packages that take visitors across the Drake Passage and into the Antarctic Peninsula. A few cruises actually take you further south and cross the Antarctic Circle. Antarctica cruise packages range from 11 to 23 days. Silversea Expeditions: Antarctica cruise packages from 10 days to 23 days, starting from Ushuaia (Argentina). From US$7,950 per person onwards. Linblad Expeditions: 14 days cruise packages aboard the Nat. Geo. Explorer and Nat. Geo. Orion, starting at Ushuaia (Argentina). Prices start at US$13,360 per person. Hurtigruten Cruises: Fantastic expedition packages aboard the MS Midnatsol, the MS Fram, and the MS Roald Amundsen. Antarctica cruises start from Ushuaia, Argentina, with packages beginning at US$ 6,285 per person. The cruise itineraries cover amazing destinations like Half Moon Island, Yankee Harbor, Deception Island, Cuverville Island, Antarctic Sound, Brown Bluff, Port Lockroy, Neko Harbor and Paradise Bay. Antarctica XXI: An exclusive and one of a kind ‘Fly and Cruise’ package to Antarctica. The M/V Ocean Nova and the Hebridean Sky have 6 to 14 day cruise itineraries, starting from either Ushuaia (Argentina) or King George Island (Antarctica). 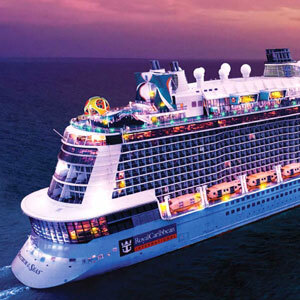 The cruise liner offers very cost effective packages, starting as low as US$ 4,995 per person. Holland America: Excellent South America and Antarctica cruise packages, aboard the MS Zaandam, with 22 night and 34 night itineraries starting from Buenos Aires (Argentina) or Santiago (Chile). Packages start at US$ 3,459 per person. Remember that most ships to Antarctica are small in size, usually between a hundred to five hundred passengers. Smaller ships find it easier to reach remote locations and often allow passengers to make land excursions. Cruises to Antarctica are generally expensive compared to cruises to other parts of the world. It is always better to book you trip atleast six months in advance to make sure you can avail of early bird offers and other discounts. Temperatures are generally in the vicinity of 00C during the summer, so make sure you carry adequate winter wear. Also make sure that you have sufficient sunscreen, since the UV levels are very high in Antarctica. AuthorThe author is a travel blogger and writes about popular holiday destinations and cruise packages. In this particular article, he talks about Antarctica as a cruise destination and gives his take on popular Antarctica cruise packages.